Pinewood Forest’s weekend plans are calling our names… and you’ll want to clear your calendar too! 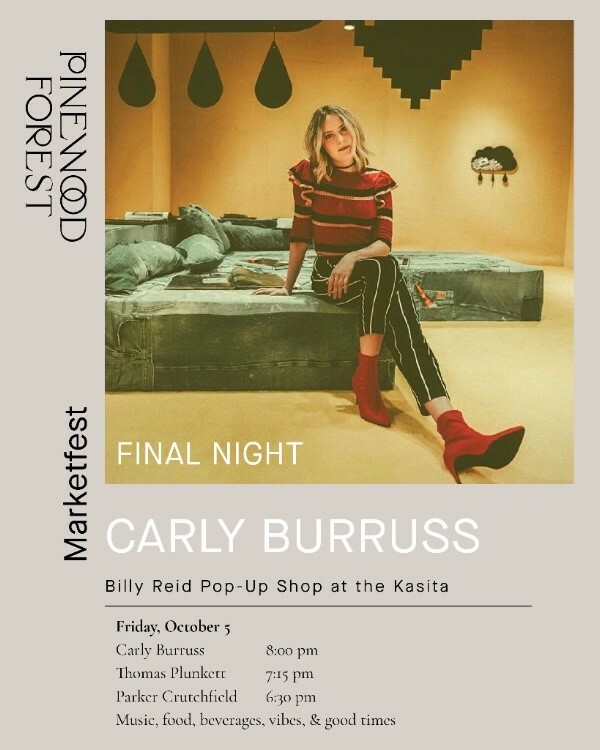 On Friday, October 5, Pinewood hosts Marketfest featuring the Billy Reid Pop Up Shop. Swing by to see the designer’s newest collection of men’s + women’s fall merchandise in the Kasita. From 5-10pm, enjoy fashion, food, music, vibes + good times. The full line up of activities includes Marketfest from 6-10pm, Billy Reid Pop Up Shop from 5-10pm and live music from 6:30-9pm. Marketfest will also run on Saturday, October 6 from 10am-2pm featuring yoga in the park + fun family activities. It’s also your last weekend to experience the stunning work of Atlanta’s best designers in the Atlanta Magazine and Atlanta Magazine’s HOME Pinewood Forest Idea Home. This must-see work of art is open on Friday, October 5 from 5-8pm, on Saturday, October 6 from 10am-6pm + on Sunday, October 7 from 12-5pm. For more information on all of Pinewood Forest’s happenings, please visit the website.